TIMed offers good opportunity for interacting with clinicians/surgeons/hospital managers and users of medical equipment in co-creating medical products with the user that the user wants and not what the manufacturer has to offer. SCTIMST-TIMed is the only one of its kind Technology Business Incubator focusing exclusively on medical devices and biomaterials sector. SCTIMST-TIMed Technology Business Incubator is initiated by Sree Chitra Tirunal Institute for Medical Sciences and Technology, an Institute of National Importance created by an Act of Indian Parliament. The Institute has a tertiary referral hospital, a biomedical technology wing and a school of public health, all under same institutional framework. This amalgamation makes the Institute best suited for medical device technology innovation. 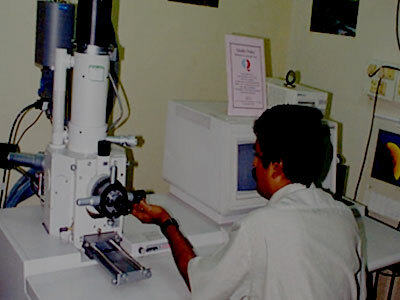 Biomedical Technology Wing, SCTIMST, Poojapura, Trivandrum-695012 Kerala, India. TIMed Technology Business Incubator launched by Hon’ble Union Minister for Science and Technology Dr Harsh Vardhan on 16th May 2015 in the presence of an august gathering.